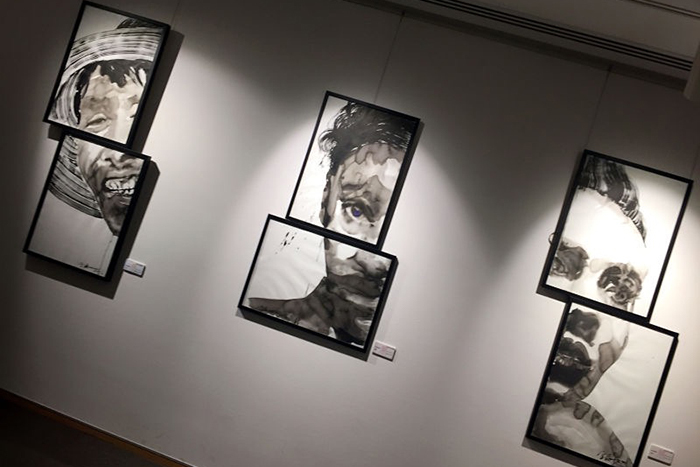 A contemporary ink paintings exhibition of work by Australian and Chinese artists was held at the China Cultural Centre, Sydney from 13-26 August 2016. The exhibition arose from previous collaboration between Western Sydney and Fuzhou Universities, and was curated by Professor James Arvanitakis. In his foreword to the exhibition catalogue, he wrote: "Mutualism is the way two organisms from different species come to exist in a relationship. In this relationship, there is a type of balance as each separate organism benefits in the actions, activities and engagement of the other. It is not just cooperation but moves beyond this… The works are brave and do not shy away from the challenges we face … but they also remind us of what we can achieve when we come together and benefit from each other's actions. This is mutuality … and it is what is required if we are to survive the challenges our world is currently confronting."